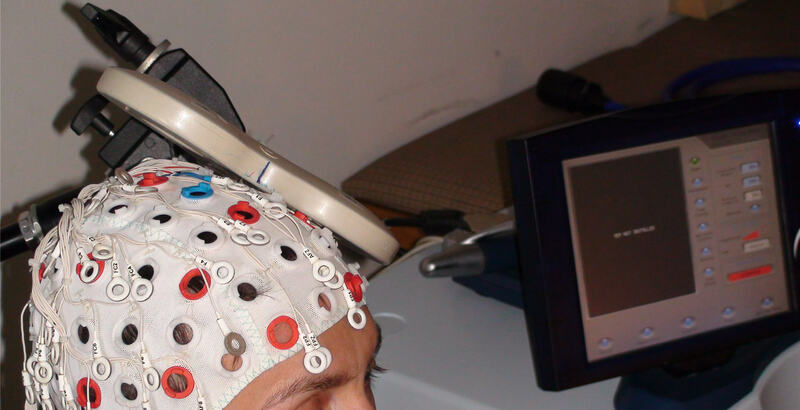 Transcranial magnetic stimulation (TMS) is a non-invasive method to excite neurons in the brain: weak electric currents are induced in the tissue by rapidly changing magnetic fields (electromagnetic induction). 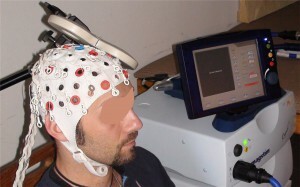 TMS can be used to complement other neuroscience methods and provides an unique methodology for determining the true functional significance of the results of neuroimaging studies and the casual relationship between focal brain activity and behaviour. SofTAX Software for the neuronavigation (this allow to neuronavigate on subject’s brain also with no MPRAGE).